The first group features big money spenders PSG, Portuguese Champions Porto, Ukrainian Runners Up Dynamo Kiev and Croatian Champions Dinamo Zagreb. Now the obvious thing to say is that PSG and Porto will cruise through this league and that will probably be the case and after Zagreb's dismal display last year, the two bigger teams will be targeting them for a big win and confidence boost. And Kiev, well they only managed runners up domestically. I think Group B will be a bit tighter, Arsenal have lost their top striker, Robin Van Persie but they are looking strong this year, they have also taken Montpellier's top goal scorer in Olivier Giroud but he has not yet shone at the Emirates. The French side have got off to a very weak start this year managing only 1 win out of 5, so they will be low on morale and lacking any real form so the weaker two teams in Schalke and Olympiakos should look to pounce on that. Schalke do however have some form coming into this as they are undefeated in the league so if key players like Lewis Holtby show up, they could cause some problems in this league. I don't think that Olympiakos can cause any problems when you compare their squad to the squads of the other 3 teams so I wouldn't bet on any surprises from them. Group D (The group of death in this competition). The champions of Spain, England, Holland and Germany. I would say in this group, there are two contenders for the trophy and I believe it will be those two (Real Madrid and Manchester City) that come out on top. Madrid always look strong at this stage in the competition and Mancini's men will have looked back on last year and learned from it. Borussia and Ajax have been unlucky with this draw because in another group, they could have qualified easily. The reigning champions Chelsea have been drawn in a group that they should be confident about qualifying from. Only Juventus could cause any threat but with Chelsea's brilliant team and brilliant start to the season, I think they should hold off Juventus, at least at home anyway. And I think it will be Juventus that take the second spot. Shakhtar did win their league but apart from them and Kiev (Dynamo) the league is weak. Finally, FC Nordsjaelland who are in the Danish league, seem to me to be the weakest teamin the competition so I wouldn't expect any upsets from them. As is the case with Group D, I feel this Group is also a battle for second. Bayern Munich look the strongest team by quite a margin on paper and I feel that only a huge surprise result would stop them from topping this table. As for the battle for second, I feel this is between Lille and Valencia as the Belarusian league doesn't exactly produce the highest quality football, even if they did manage one place in the Champions League. This is a difficult decision as the two sides are playing at around the same level. Both finished third in their domestic season and the quality of player at the clubs is about the same. I think I would tip Valencia because of the experience at the club but it is close as both have had extremely equal starts to the season. Group H includes the fourth and final English team in this competition and like the three others, I would expect Manchester United to qualify from their group. The question is, who will take that second place? None of the three clubs are extremely strong but i would say Braga look the strongest even if Galatasary and Cluj won their leagues last year. But it is fair to say the Turkish and the Romanian leagues aren' the best leagues to watch quality football. Olivier Giroud: Should he have left Montpellier? Giroud on debut for The Gunners. Last year Olivier Giroud was the prolific top goalscorer in Ligue 1 with 21 goals, leading Montpellier to their first Ligue 1 championship ever. Now, after a £12 million deal that brought him to The Emirates and Arsenal, he has not scored once and rumours say he might have even been dropped to the bench. He obviously has some talent because he has eleven international caps to his name, scoring one goal. His first cap came on 3rd November 2011, in an effort to reward Giroud for his performances domestically with Montpellier, national team coach Laurent Blanc named the striker in the squad to play in friendly matches against the United States and Belgium on 11 and 15 November 2011, respectively. Although he did only come on as substitute in both games. He scored his first and only international goal, so far, against Germany (in another friendly) contributing to a 2-1 victory. Although, maybe if he isn't scoring goals for his new English side, h could be played in the gap between midfield and attack as he did assist nine of Montpellier's goals last season, and that was playing as an out and out forward, he also has three international assists. His former French team must have rated him highly, putting a £55 million price tag on him. They obviously lowered this with Giroud leaving for only twelve. I personally believe this is because Olivier Giroud wanted to move clubs to play at a higher level and no one in the right mind would pay such an extortionate amount who hasn't proved he can score goals consistently at the highest level. I suppose, on the other hand, you can't jump to conclusions when the twenty five year old has only played three games as a Gunner in contrast to the seventy three he played at Montpellier. The Frenchman may be struggling with the fast paced English game whereas Santi Cazorla has fitted in to the team like he has played there all his life. There is no doubt that Olivier Giroud can score goals, it's what he does for a living, but is he right for Arsenal's passing style of play? After watching an abysmal defensive display against an average, at best, Ukraine side, you can only wonder what it would have been like with a more experienced central defender than Phil Jagielka. 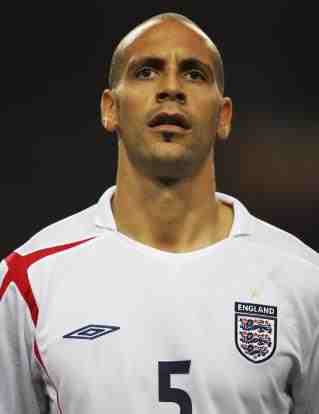 Rio Ferdinand could only sit and watch as his defensive counterparts performed weakly. Not saying that Phil Jagielka is inexperienced, but he does not have the huge amount of England caps to show for that Rio does. Especially with the absence of John Terry, you would have thought that Rio should have been called up. Even if he is injury prone, that doesn't stop them picking John Terry however JT is probably more talented, but not by a lot. On the other hand, maybe the younger, more inexperienced choice is the way forward because, let's be honest, Rio isn't going to be around for Rio and maybe Roy Hodgson is trying to approach the no fear option with players who haven't had a vast amount of experience internationally and therefore they can just go out and play their natural game. After this selection, it probably means the Manchester United center back will be left out for the next qualifier, regardless of the fitness of John Terry. Maybe it is time for the 33 year old to hang up his international boots and focus on keeping his place ahead of the young English defender, Phil Jones. Manchester City's controversial striker, Mario Balotelli has been told by his manager that he needs to see a hypnotist to stop his smoking habit. Balotelli has been known to do 'interesting' things in the past that confuse most people. Some examples being driving round Manchester throwing money out of his car window and setting fireworks off in his own home! However, none of these crazy acts would effect him physically, like smoking would, this is why Mancini has taken action. Mario has also been told that he should see a psychiatrist but his manager would rather he saw both, at once! This is all after the Italian was seen at a nightspot smoking whilst he should have been resting ahead of an eye operation for a problem that City bosses apparently fear has been made worse by the player's smoking habit. However it is obvious that the Italian manager is a big fan of the young striker after swiftly rejecting an astounding £40 million bid in the summer from big spending French side Paris Saint-Germain (PSG). Mario Balotelli was the centre of a number of high money bids after a successful season winning the Premier League with Manchester City and a good tournament with Italy at the European Championship. As the Barcelona midfielder, Andres Iniesta stepped up to accept his award for Best Player in Europe, the two odds-on favourites, Lionel Messi (Barcelona) and Cristiano Ronaldo (Real Madrid) shared a sheepish glance. It can not be said that Andres did not deserve the award because he did help Spain retain their European Title and was given the 'Player of the Tournament' award. But there will be some disputing as the two runners up, Messi and Ronaldo scored 73 and 60 goals respectively last season. Ronaldo also guided Real Madrid to their first title since '07-'08. It must be said that they are all masters of their own art, whether it be anchoring the midfield and threading exquisite balls through the defence, or embarrassing defenders by running at and passed them with jaw dropping skill, or just scoring goal after goal after goal and just making people gawp at your unique class. This is just a short description of what makes up Europe's Best Player of the era or possibly ever.